WASHINGTON --- "What has he been smoking?" This common expression illustrates how deeply the conversation about marijuana is embedded in popular culture. It is a subject of humor for many people. Such cultural penetration naturally leads to relaxed attitudes about marijuana. As attitudes relax, people are becoming open to arguments favoring decriminalizing its use. Today, a vocal, passionate minority is using such arguments as personal freedom, health needs and our country&apos;s stalled war on drugs to advance this cause. The sincerity of these arguments notwithstanding, there is no justification for decriminalizing marijuana. First, personal freedom must be tempered by personal and social responsibility. Decriminalization of marijuana will encourage destructive behavior in users and affect the entire nation. When users no longer fear arrest, they will have marijuana more often and use it more often. Inebriation is only part of the problem. Marijuana users have higher risks of numerous medical problems, including cancer, psychosis, strokes, respiratory damage and heart attacks. They increase these risks with increased use. Additionally, increased use will lead to more personal and family problems. Work productivity will decrease as will employability. Such outcomes will put additional pressure on families, communities, businesses, health services and law enforcement. Decriminalization likely will lead more people to try marijuana, especially impressionable, curious, young people, supposing that the government considers it safe. Most troubling is the prospect that more young people will begin a lifetime of drug addiction. It is known that teenagers who use drugs are more likely to develop lifetime drug dependencies. Advocates cite a couple of surveys that say states with medical marijuana laws have steeper declines in overall marijuana use than states without them. There is not enough evidence that these early reports are accurate. But even if they are, and that&apos;s a big "if," they do not assist the cause of general decriminalization. The suggested reason for this supposed drop in overall usage is that people in these states think of marijuana as a medicine rather than as a recreational drug. 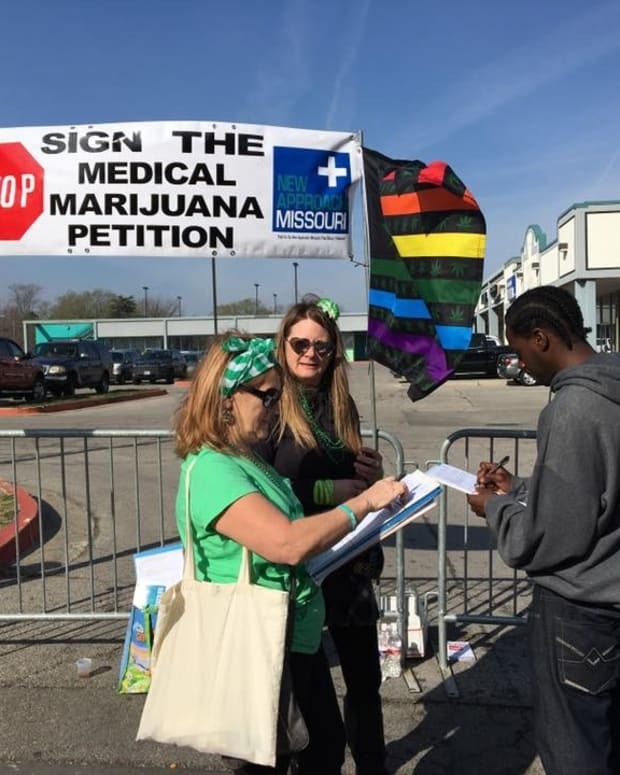 If so, the medical marijuana argument does not support the broader decriminalization movement since it is not advocating for the medicinal use of marijuana but rather its recreational use. Second, no medical arguments justify decriminalization, not even arguments that claim overall marijuana use declines when marijuana is treated as a medicine. Marijuana is a dangerous drug, with countless negative effects. While much more work needs to be done to determine its value for a limited range of carefully monitored, controlled, medical applications, like treating glaucoma or enhancing appetite, the rush to decriminalization in the name of pain control or mental health cannot be justified. Most people who use marijuana to relieve severe pain combine it with stronger pain relievers because marijuana is not effective enough by itself. Furthermore, marijuana&apos;s pain-relieving ingredient has been available by prescription for years. The use of marijuana as a means to self-medicate one&apos;s mental health is also not justifiable. People dealing with depression need the regular care of a trained professional. If they require drugs, there are plenty of proven mood-altering ones available that do not introduce as many potential and likely problems as marijuana. Smoking marijuana medicinally threatens to make bad situations worse for many users. Marijuana introduces multiple toxic chemicals into the systems of people whose bodies are already weakened from their ailments. Not only might these toxic chemicals interfere with the healing process, but users risk developing additional problems like those mentioned earlier. Third, decriminalization will not solve our drug control problems. It will not rid us of the illicit drug trade. Since distribution would still be illegal, most people would have to resort to the illegal drug trade to obtain marijuana. Additionally, some people who use marijuana will want to try other drugs, fueling more illicit drug trade. It will not empty our prisons of drug offenders, either. Very few people go to prison for possessing small amounts of marijuana. Marijuana possession at the time of their arrest might be a factor, but their sentencing is related to more serious offenses, like intent to sell drugs, robbery or violent crimes. It is likely that decriminalization will result in more people going to prison for drug-related crimes. In the 2004 Survey of Inmates in State and Federal Correctional Facilities, 32 percent of state prisoners and 26 percent of federal prisoners said they committed their offense while under the influence of drugs. Marijuana is the drug used most often in these instances. In a 2002 survey of inmates, 14 percent said they were high on marijuana and 11 percent said they were high on cocaine or crack at the time they committed their crimes. It&apos;s possible that part of the reason we have not had more success ending rampant illicit drug abuse in our nation is the fact that 13 states have legalized possession of small amounts of marijuana for so-called medicinal purposes. Such counterproductive policies are the equivalent of drilling holes in the bottom of your boat while you are frantically trying to bail water. Instead of making drug use easier, we should redouble our efforts to warn people of the dangers of drug use, develop more effective rehabilitation programs for those who are convicted of drug possession, and increase our prosecution of those who supply the drugs. We are in a battle for the lives of millions of people. They deserve our best efforts, not our surrender. Barrett Duke is vice president for public policy and research for the Southern Baptist Ethics & Religious Liberty Commission. A version of this column first was published in The Washington Times.